Lawyers at Lipcon, Margulies, Alsina & Winkleman, P.A. have been representing injured crew and passengers since 1971. Since that time, we have represented clients around the world in admiralty, maritime and personal injury cases. 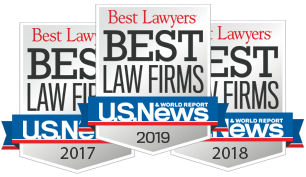 Our attorneys are easily recognizable, as they are often featured in national and international news and are extensively sought out by world media for their experience in maritime law. We use this knowledge to help accident victims recover from their injuries and receive proper compensation. Maritime law is federal statutory and common law that governs the seas. The United States Constitution grants the federal courts original jurisdiction over this area of law; and the “savings to suitors” clause of the Judiciary Act of 1789 provides concurrent jurisdiction in state courts. Formally only applied to American tidal waters, admiralty laws now apply to any navigable body of water in the United States that a boat can reach – including rivers, harbors, canals, and some lakes. The laws protect those who are injured within its jurisdiction. Passengers and crewmembers are able to seek compensation for any injuries that occur while on a vessel. Damages can include lost wages, medical expenses and emotional damage. Additionally, many injuries occurring on land which are otherwise related to work on ships or occurring during a cruise are properly within admiralty jurisdiction. Maritime laws afford certain rights to workers employed on a vessel. Seaman rights are set forth in the Jones Act (also known as the Merchant Marine Act of 1920). The Jones Act enables a seaman who was injured in the course of employment to sue his employer for negligence. Also, the law provides claims against shipowners and vessels themselves for unseaworthiness. In addition, seamen with the right to transportation, food, shelter, medical care, tips and contract benefits while they are injured or ill. If you have experienced an injury while on a cruise ship or other vessel and believe that you might be entitled to compensation, you should reach out to a maritime attorney as soon as possible. Time is truly of the essence. A claim for personal injury or wrongful death on the sea must be brought within three years of the injury. However, the fine print in a cruise ship passenger ticket often contractually shortens the time limit for filing a personal injury claim to one year and requires written notice of the claim to be presented to the cruise line within 6 months. Also, most cruise line passenger tickets contain an enforceable forum selection clause requiring claims for personal injury or wrongful death to be litigated in the State of Florida. A few require litigation in either Washington State or California. We regularly handle cases against all cruise lines based in Florida, Washington, and California. Our firm offers a free initial consultation with an experienced lawyer. We are accessible from overseas and can be contacted by phone and online—reaching us is easy. Lipcon, Margulies, Alsina & Winkleman, P.A. has been named among America’s best lawyers. We are leaders in our industry and take great pride in the work we do. Call our office toll-free, (877) 233-1238, or schedule a free consultation online.